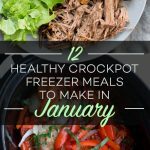 My favorite freezer meals are the ones that don’t require any cooking ahead of time. 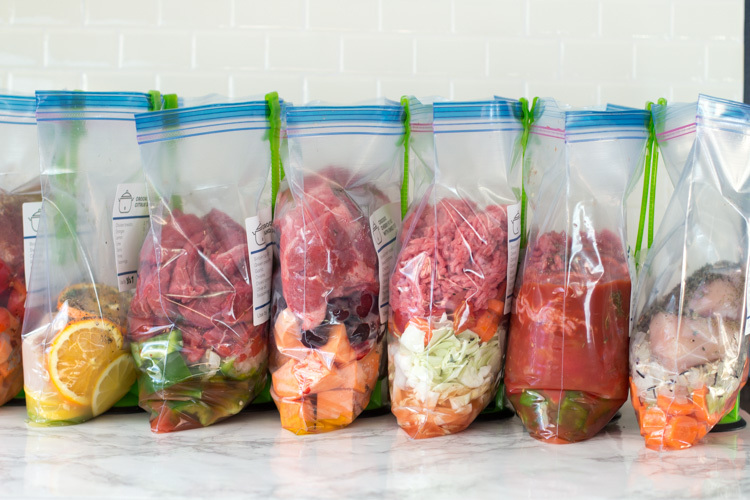 Combine the ingredients in a bag and freeze them for the slow cooker. Super quick and easy. The only tools you need to make these meals are a cutting board and knife, but I’ve tried some awesome kitchen tools along the way that make the process even easier. I talked to my freezer-meal-loving cousin, Jill, and we put together a list of our 17 favorites. Happy shopping! 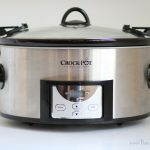 Programmable Crock-Pot – Set it and forget it! Jokari Hands-Free Baggy Racks – Perfect for when you’re filling bags in an assembly line and don’t want to spill them all over the floor. Vidalia Chop Wizard – I hate chopping onions, so this is a must-have. Programmable Rice Cooker – We use ours multiple times a week and you can even steam veggies in the top. 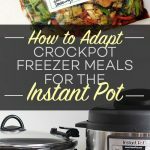 Instant Pot – All the rage and Jill’s new obsession. Freezer Cooking Apron – Quickly dry veggies and wipe your hands as you go. Wi-Fi Outlet Timer – Turn your old crockpot into a programmable one! Mini Whisks – Jill thinks these are the cutest things ever and she uses them to quickly mix sauces and spices. Shredder Claws – Super easy way to shred meat after cooking so it absorbs more liquid in the crock. Garlic Twist – I have used many a garlic mincer in my life and nothing is as pain free and easily washable as this one. Cutting Board Set – Dishwasher-safe! Citrus Juicer – The strainer makes sure no seeds get in the juice, and it has a convenient measuring cup and pouring spout. Simple Kitchen Scale – Perfect for measuring bulk meat and veggies. Water-Resistant Freezer Labels – a Sharpie works great too, but our Freezer eCookbooks contain filled out labels that you can print on these stickers. 8-inch Chef’s Knife – I use this knife to chop everything. It’s amazing. Palm Peeler – Super cool for peeling carrots. QUESTION: What’s your favorite kitchen tool? Please share in a comment below! I knew I needed the Jokari hands free bag holders when I was planning to make my first freeze ahead crockpot meals. I bought two on Ebay. I was right, they were invaluable for holding up the freezer bags while I was putting food in them. Definitely worth the purchase. I wish I’d bought 4 of them! Patty, stock up! It’s definitely worth having more than two! !